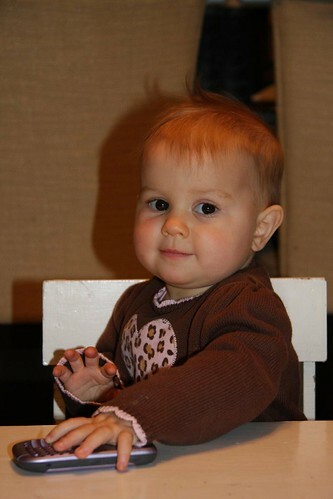 Today is Connie’s last day as a baby. Tomorrow, she toddles her way into her second year. Connie spent the day taking a few last minutes calls from her public. 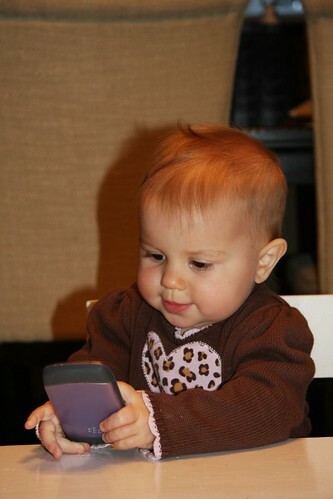 Should we be concerned that she is trying to text this early? 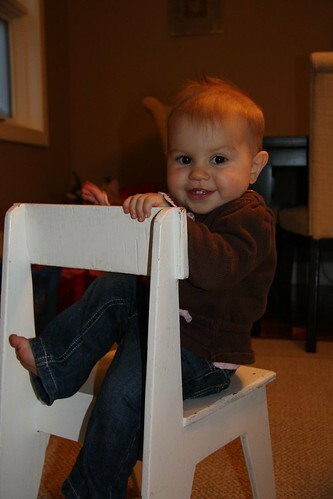 Connie just discovered these chairs today and insists on climbing on them. It’s strange, I can’t believe it’s been a year already and yet at the same time, it seems like Connie has been with us forever. We all excited to see what the next year will hold. I can’t believe she is a year old. She looks so much like Dougie.